As good as the 2016 Major League Baseball season was for the Cleveland Indians, they are left to ponder as far as what could have been. The Indians enjoyed a postseason run that saw them sweep the heavily favored Boston Red Sox in the American League Divisional Series, and defeat the Toronto Blue Jays in the American League Championship Series for their first World Series appearance since 1997. The Indians were one victory away from their first World Series Championship since 1948, but they would be the first team since the St. Louis Cardinals in 1985 to blow a 3-1 lead in the Fall Classic, and the first since the Baltimore Orioles in 1979 to lose the final two games at home as their demise saw the Chicago Cubs become a team of destiny. And as close as the Indians were in 2016, it will be even tougher for them to get back to the World Series here in 2017. But luckily for the Indians they are led by manager Terry Francona who is one of the best in the business as far as motivating and getting the most out of his clubs. Francona won a pair of World Series Titles as the skipper of the Red Sox, and in four years with the Tribe, they’ve never had a losing record. Now it will take the ultimate coaching effort from Francona in order to get his team to move on after last year’s collapse. In 2016, the Tribe was one of the most balanced teams in baseball and it could once again be a strength for them. Last year each one of Cleveland’s starting pitchers was able to win at least 11 games, while this unit had 81 saves which was fifth in the American League. In the last three years starting pitcher Corey Kluber has won 45 games as he is no longer a secret outside of Northern Ohio. However after Kluber was able to win 18 games in 2014, he would lead the American League in losses in 2015 with 16. Kluber did this while he posted an earned run average of 3.49 in 2015 as he was sometimes a hard luck loser. But after Kluber was able to once again win 18 games last season, along with the Indians explosive offense, he could find himself in the mix to win his second A.L. Cy Young Award. But even with Kluber leading the way, the strength of Cleveland’s pitching staff will once again be their bullpen. Francona has his version of “The Nasty Boys” in relief pitchers Andrew Miller, Bryan Shaw, and Cody Allen. Allen saved 32 games for the Tribe last season, while Shaw was able to record 25 holds. Miller was acquired from the New York Yankees just prior to the trade deadline last year and he proved to be vital coming down the stretch. Miller struggled late in the World Series, but he should be able to bounce back as the elongated delivery coming from his 6’7″ frame makes his fastball that much more difficult for batters to pick up. After the Indians offense was able to score 777 runs last season which was second in the American League, they should once again be fun to watch. First baseman Mike Napoli left in free agency to sign with the Texas Rangers, but Indians general manager Mike Chernoff didn’t waste anytime in finding a replacement for him as he signed first baseman/designated hitter Edwin Encarnacion. For the last eight years Encarnacion has developed into one of baseball’s most feared power hitters. Encarnacion hit 239 homers while wearing a Toronto Blue Jays uniform which is third most in their franchise history. And even at the age of 34, Encarnacion will provide the Indians with a veteran slugger that can provide some of their other key hitters protection in the lineup. After shortstop Francisco Lindor finished second in the American League Rookie of the Year voting in 2015, he is beginning to show his worth as one of Major League Baseball’s future stars. And along with displaying some slick fielding at shortstop, Lindor is a potential .300 hitter whose ability to set the table will be important for Cleveland. Carlos Santana will alternate with Encarnacion at first base and being the Indians designated hitter as he looks to build off hitting a career-high 34 home runs last season. I don’t see Santana taking a step backwards as playing with Encarnacion could make them one of the best power hitting combinations in the American League. A shoulder injury is expected to keep second baseman Jason Kipnis on the shelf to begin the season, but he is one of Cleveland’s best overall players along with being a leader. And if the Tribe is able to get off to a solid start without him, their chances will only be magnified upon his return to the lineup. Like Lindor, outfielder Tyler Naquin is one of the young and bright stars that the Indians can lean on. Last year as rookie, Naquin batted .296 with 14 home runs and 43 runs batted in, and heading into 2017, he is seeking to avoid the dreaded sophomore slump. Shortstop Jose Ramirez gives the Indians another potential .300-hitter in their lineup as Cleveland has the potential to hang with the best offenses in the American League. Right out of the chute the Indians will be on the road to face the Texas Rangers as these two clubs could once again be two of the best in the American League. The competition in the A.L. Central will once again be difficult, however Cleveland has the ability to hold their on within the division. After four consecutive trips to the postseason which included winning the American League Pennant in 2012, the last two years have seen the Detroit Tigers fail to make the playoffs. But after missing out on a playoff berth by just 2.5 games in 2016, there is some optimism for the Tigers heading into the 2017 Major League Baseball season. And for Tigers manager Brad Ausmus, he has a veteran team that is definitely in win-now mode. Since first baseman Miguel Cabrera joined the Tigers in 2008, he has done just about all that a future Hall of Famer can do. 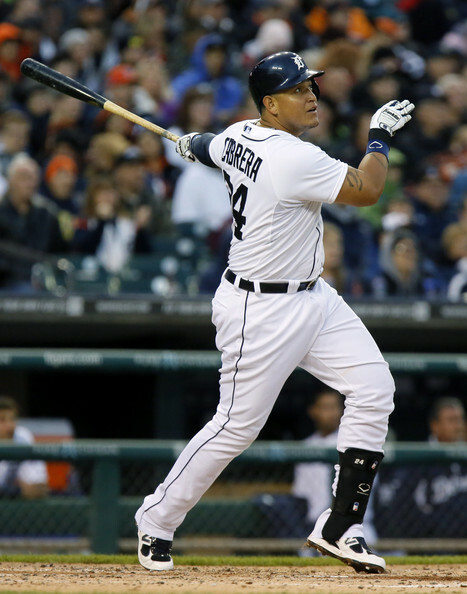 Cabrera is a two-time American League MVP which included him winning the Triple Crown in 2012 as he became the first player since Carl Yastrzemski in 1967 to lead the league in batting average, home runs, and runs batted in. Cabrera will have his 34th birthday in April, and although that the Tigers will look to use him more as a designated hitter, he still has one of the best bats in baseball as he is one of the top contact hitters that the game has ever seen. As a team the Tigers were able to go yard 211 times last season which was sixth in the American League and you can expect more of the same this season. After outfielder Justin Upton signed a six-year, $132.75 million contract with Detroit last off-season, he appeared to be pressing and thus got off to a slow start. However Upton was eventually able to get it going as his 31 homers were second to Cabrera’s 38 on the Tigers. Upton has been a very streaky hitter during his career, but with that he has the potential to put the Tigers lineup on his back for an extended period of time. When the Tigers acquired second baseman Ian Kinsler from the Texas Rangers in 2014, they got him for his ability to be a table setter; however he has been able to do than and then some. Kinsler was able to blast 28 home runs for the Tigers last season, while he also won his first Gold Glove Award. And even at the age of 34, Kinsler is still able to get it done at a very productive level. Even on knees that he taken a beating from his days as a catcher, designated hitter Victor Martinez can still get it done. Martinez is 38-years of age, but he still possesses the ability to hit at least 25 home runs, while giving Cabrera some protection. Since joining the Tigers in 2014 after being released by the Houston Astros, outfielder J.D. Martinez has turned into a star. In three years with the Tigers, Martinez is batting .299, while he was hit 83 homers. And I expect Martinez to have a big 2017 campaign due to the fact that he is scheduled to become an unrestricted free agent at season’s end. In each of third baseman Nick Castellanos’ three seasons with the Tigers, he has continued to improve, and as he finds himself in one of Major League Baseball’s best hitting lineups, he has the potential to become an All-Star this season. 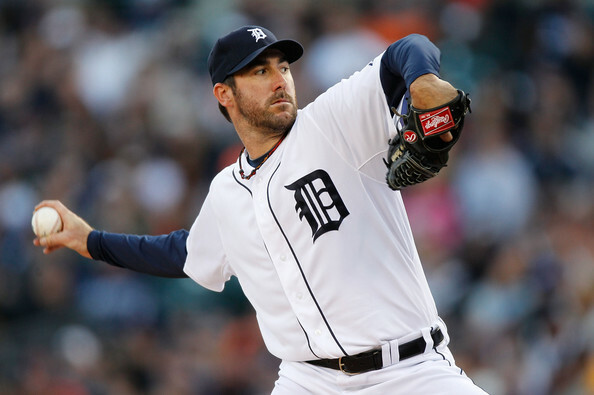 Starting pitcher Justin Verlander has been the face of Tigers pitching for more than a decade. Verlander’s 2,197 strikeouts are the second most in franchise history, while nine out of the last ten seasons have seen him pitch at least 200 innings. Verlander is 34-years age, and what has allowed him to be able to remain around in baseball so long is that he is a very determined athlete. Several times Verlander has been written off by his skeptics, but he now combines his power fastball with craftiness to work the corners of the plate. And after once again leading the American League in strikeouts last season with 254, Verlander should once again be solid for the Tigers here in 2017. 2015 saw the Tigers lose starting pitcher Max Scherzer in free agency as it impacted their postseason chances. However after the Tigers traded outfielder Yoenis Cespedes to the New York Mets in 2015, they found themselves a gem in return. In trading the slugging Cespedes, the Tigers received starting pitcher Michael Fulmer. Fulmer was a first-round pick of the Mets in 2011, but as they are a team that is currently loaded with pitching, they could afford to part with him and the Tigers were more than happy to receive him. Fulmer started 26 games for the Tigers last season and he sported a record of 11-7 with an earned run average of 3.06 in 159 innings pitched. 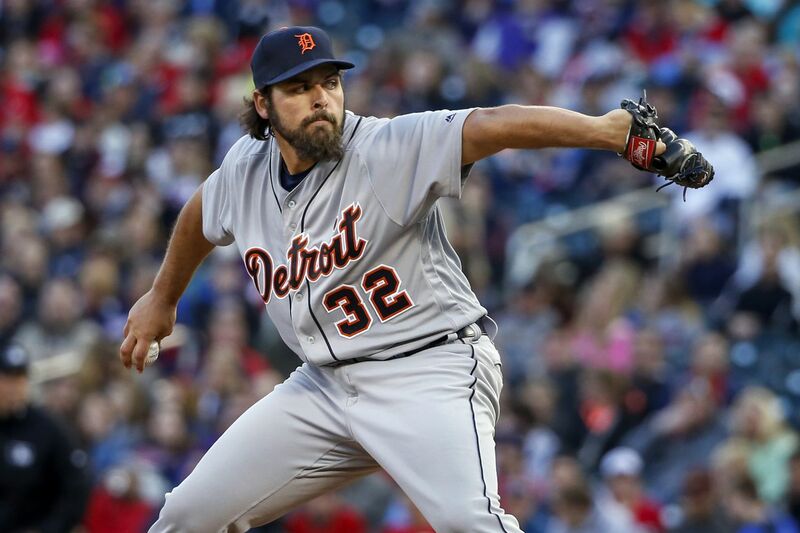 Fulmer became the first Tigers player to be the American League Rookie of the Year Award since Verlander in 2006, and he is poised to become Detroit’s next ace. Fulmer has a power fastball that he can mix up with a slider and a changeup. Fulmer just turned 24-years of age last month and the Tigers are going to proceed with caution, but it would not surprise me to see him get close to pitching 200 innings this season. However for the Tigers, there will more than likely be a drop off in their starting pitching production behind Verlander and Fulmer. Last year the Tigers pitching staff’s earned run average of 4.24 was 11th in the American League with no other starting pitcher winning more than 9 games. After starting pitcher Jordan Zimmerman won 19 games in 2013 as a member of the Washington Nationals, his career has taken a step backwards. Last year Zimmerman agreed to a five-year, $110 million contract with Detroit, but he was only able to make 19 starts. And if the Tigers are going to be a playoff team here in 2017, Zimmerman is going to need to pitch much better. The Tigers bullpen still has been unable to shake their reputation of blowing games which is one of the issues that has prevented them from winning their first World Series Championship since 1984. Relief pitcher Francisco Rodriguez was able to save 44 games for the Tigers, but he knows how to put stress on a pacemaker as he allowed 45 hits in just 58.1 innings pitched last season. The upcoming Major League Baseball season will mark the first time that the Tigers will take the field without being under the ownership of Mike Illitch since 1991. Illitch was a very respected throughout the Detroit area and I expect the Tigers to play with tremendous emotion this season as they seek to honor him. 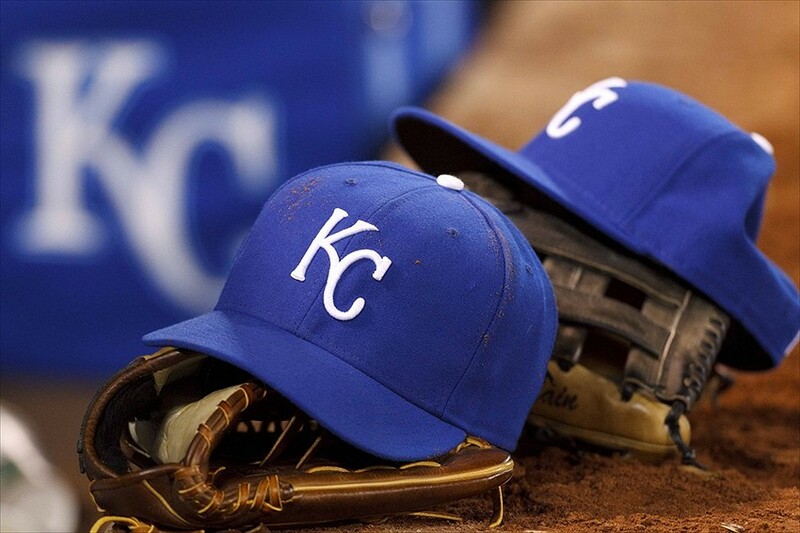 After the Kansas City Royals won the World Series in 2015, they took a huge step backwards last season as injuries were a big reason why they finished 81-81. And as there is always optimism heading into a new Major League Baseball season, the Royals will be fighting an uphill battle before it even starts. On January 22, the Royals received the tragic news that starting pitcher Yordano Ventura was killed in an automobile accident in the Dominican Republic. Ventura was only 25-years of age, and he was just beginning to scratch the surface of his potential. Ventura’s death will leave a void in the Royals starting rotation, but the organization must find a way to move on. Aside from Ventura’s death, the Royals understand that they’re a small market team which means that they have to rely on developing talent as opposed to big spending in free agency. The small market Royals lost designated hitter Kendrys Morales and starting pitcher Edinson Volquez in free agency, while they traded relief pitcher Wade Davis and his 44 saves over the past two seasons to the Chicago Cubs. Outfielder Jarrod Dyson was sent to the Seattle Mariners as Royals general manager Dayton Moore understands the business side of operating a small market team. And as Moore will probably be trading other talented players soon, he is still attempting to field a team that can compete for the American League Central Title. The Royals have some talented players in their lineup; however this team is not known as an offensive juggernaut which means that they’ll once again have to scrap and claw to consistently score runs. The Royals should benefit from having a healthy Mike Moustakas at third base. Injuries limited Moustakas to just 27 games last year and Kansas City missed his bat as well as his spirit in their lineup. Along with Moustakas, first baseman Eric Hosmer is the heart and soul of this team. Hosmer made his first All-Star Game appearance last season and in 2017 he will continue to be one of the best first basemen in the American League. Catcher Salvador Perez was able to avoid an severe injury scare after a collision in the World Baseball Classic as he was playing for his native Venezuela and he is on track to be in the lineup for Kansas City on Opening Day. What Perez gives the Royals is a leader, a clutch bat, and one of the best defensive catchers in baseball. Each of the last four years has seen Perez make the All-Star team along with winning a Gold Glove which is something that cannot be lost of the Royals pitching staff. To offset the loss of Morales, the Royals are going to need outfielders Alex Gordon, Lorenzo Cain and Brandon Moss to have solid impacts. Gordon is set to begin his eleventh season with the Royals and he has entered some rare air. Gordon’s career wins above replacement total of 32 is eighth most in franchise history, and his 278 doubles are sixth. Injuries limited Gordon to 128 games last season and he is still a vital part of this team; especially in the outfield as he is a three-time Gold Glove winner. Like Hosmer, Perez and Gordon, Cain was a big part of the Royals championship team in 2015. And like Gordon, injuries got the best of Cain last season. But the Royals and Cain will enter in an awkward position being that he is scheduled to become an unrestricted free agent following the season. The Royals want to compete, but if they fall out of competition prior to the trade deadline, I would not be surprised to see Cain put on the trade market. The Royals signed Moss to a two-year contract for $12 million after he had one of the best seasons of his 10-year career. Moss hit 28 home runs last year for the St. Louis Cardinals, and although that he might not be the consistent threat that Morales was, he is still solid enough to contribute in Kansas City as I see him being more of a designated hitter than an outfielder. 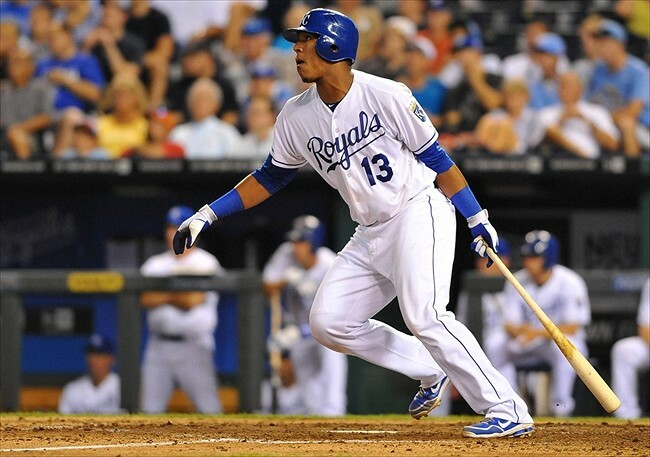 But one player who could be a sleeper for Kansas City in their lineup this season is outfielder Paulo Orlando. Injuries last season opened the door for Orlando to be an everyday player, and he made the most of hit as batted .302. I don’t see Orlando taking a step backwards in 2017 as he should once again be a regular in manager Ned Yost’s lineup. The Royals pitching staff that was a big part of their run to the playoffs in both 2014 and 2015 struggled last season as I don’t see things getting any better this season. The Royals team earned run average of 4.21 was ninth in the American League last season, while they were only able to muster 68 quality starts. But if starting pitcher Danny Duffy is able to build off of his 12-3 mark from last season, it could keep Kansas City in the playoff picture. 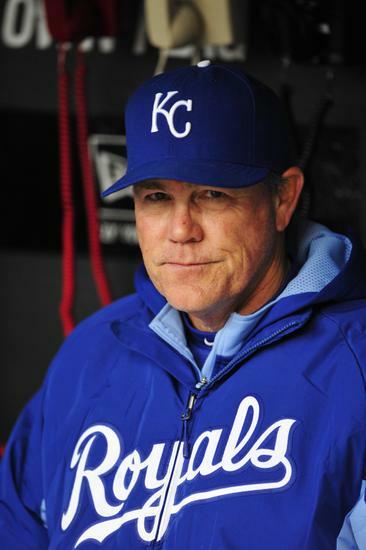 Yost is one of the best managers in baseball as far as having the idea of the pulse of his team. Yost is a hands off manager that lets the players police themselves, and his laid back approach should once again allow Kansas City to relax and hang around in the playoff picture. 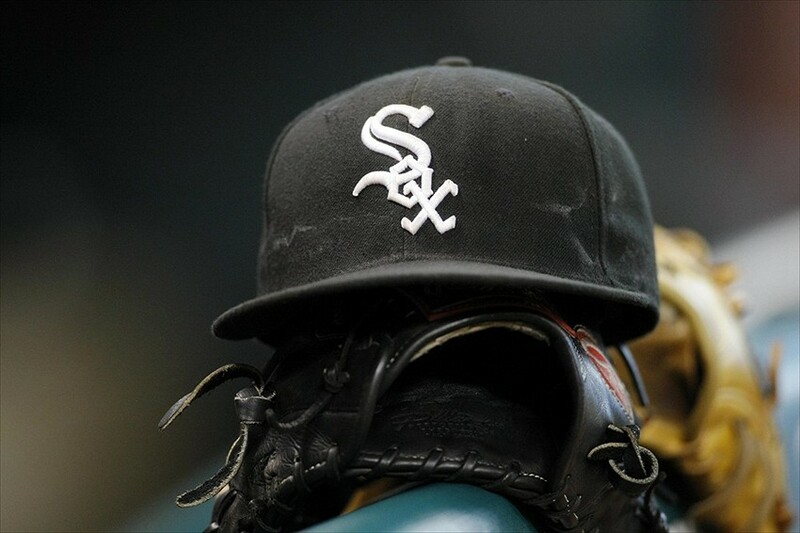 The last four years have seen the Chicago White Sox finish with a losing record, and the recent success by the Chicago Cubs which includes them winning the World Series last season means that the South Siders have become nearly forgotten in the Windy City. In five years as the manager of the White Sox, Robin Ventura was never able to get Chicago to the postseason, while they never finished higher than fourth place in the American League Central during the last four years. But Ventura cannot take all of the blame for the White Sox struggles as this is an organization that cannot figure out if they want to contend or rebuild. However it is now Rick Renteria’s turn to be the skipper of the South Siders as with the 2017 Major League Baseball season right around the corner, all signs points to the Pale Hose being in rebuilding mode. The past five years saw starting pitcher Chris Sale emerge as one of the best pitchers in baseball. Over the last five seasons Sale won 70 games while he also got the nod to start in Major League Baseball’s All-Star Game last summer. But Sale had his issues with the White Sox front office which reached a fever pitch on July 23 when he was suspended for five games after he used scissors to destroy the team’s throwback uniform that he didn’t want to wear. Aside from trading Sale, outfielder Adam Eaton was traded to the Washington Nationals in a move that saw the Sox receive three young pitchers in Reynaldo Lopez, Lucas Giolito, and Dane Dunning that the jury is out on. The writing was on the wall for a divorce between Sale and the White Sox. And during the off-season the White Sox were able to find a trade partner in the Boston Red Sox. In exchange for Sale, the White received four players which includes infielder Yoan Moncada who received a ton of hype when he defected from Cuba, but has yet to deliver in Major League Baseball. Moncada joins a White Sox lineup that includes first baseman Jose Abreu and third baseman Todd Frazier who if nothing else will excel in putting balls into the seats. Since making his Major League debut for the South Siders in 2014, Abreu has been one of the best first baseman, but he gets lost in the shuffle since he doesn’t play on a good team. And aside from possessing a solid glove at first base, you can also pencil him in to hit 30 home runs, while also driving in 100 runs. After the White Sox acquired Frazier from the Cincinnati Reds last year, it took him some time get going as he appeared to be pressing. However Frazier would rebound to hit 40 homers for the first time in his career. But with Frazier’s power surge came an increase in his strikeouts as he struck out 163 times last season which was the eighth most in the American League. An oblique injury has currently sidelined Frazier which could effect him to start the upcoming season; especially in Chicago where the temperature will still be cold in April. The departure of Sale means that starting pitcher Jose Quintana is now the White Sox best option in their rotation. Quintana has a career earned run average of 3.20, but his career record is only 46-46 as like Sale, he has not always gotten run support. 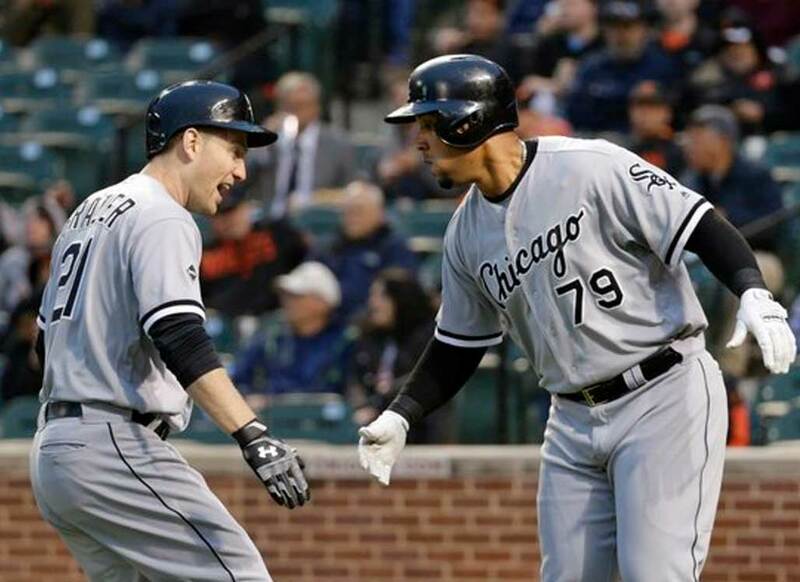 But if Chicago can find a way to score runs for Quintana this season, he has the potential to win 15 games. Starting pitcher James Shields is seeking to redeem himself after going 4-12 with the White Sox last year. Shields posted an earned run average of 6.77 with the Sox and as he is an aging pitcher, the time is now for him to reinvent himself if he wants to stick around. In two seasons with the White Sox, relief pitcher David Robertson has saved 71 games including 37 last season. Robertson will once again be in the mix to be one of the best closers in baseball, but if the Sox fall out of contention he will become at hot commodity on the trade market. With not that much expected of the White Sox, they will definitely fly under the radar as the focus in Chicago is on the Cubs. However the last thing that the White Sox can afford to have is another season of losing baseball on the South Side. After six postseason appearances over a nine-year span, the Minnesota Twins have fallen on hard times. The Twins have not made the playoffs since 2009, while they’ve only had one winning season since then either. Things went from bad to worse last year for the Twins as they lost 103 games for the first time since 1949 when they were still the Washington Senators. Heading into the 2017 Major League Baseball season, there is only one way to go for the Twins which is up, but how much progress can we realistically expect this team to have? Paul Molitor is set to begin his third year as the manager of the Twins. And after the Twins overachieved in 2015 by winning 83 games, he was dealt a harsh dose of reality last year. The biggest issue for the Twins is their lack of pitching. In 2016, the Twins team earned run average of 5.08 and 59 quality starts were each last in the American and they didn’t have one starting pitcher win at least 10 games. There isn’t that much optimism for Minnesota’s pitching staff heading into 2017 as their rotation is comprised of either youngsters such as Tyler Duffey who are trying to make a name for themselves in Major League Baseball, or veterans such as Ervin Santana whose best days are behind them. And for the Twins, their pitching issues won’t help them in the American League Central where they’ll have to compete against two of the better hitting lineups in baseball in the Detroit Tigers and Cleveland Indians. But if there is one thing that will keep fans in the Twin Cities excited over the summer in regards to Twins baseball, it is the bat of second baseman Brian Dozier. Last season Dozier slugged 42 home runs which was the highest single-season total for a Twins player since Harmon Killebrew hit 49 in 1969. Dozier could be setup to have another big year at the plate, however the bigger question is whether or not that he’ll finish the year in a Twins uniform? Twins president of baseball operations Derek Falvey did receive some offers for Dozier over the winter, but there wasn’t anything that was enticing enough for him to pull the trigger on a deal. Dozier is under contract with the Twins through 2018. However being that the Twins are not setup to contend anytime soon, a trade for Dozier could bring back some value for them. It should be another long summer in the Twin Cities, and the best thing that Minnesota can hope for is that they won’t get the brakes beaten off of them.